Snoqualmie, Washington. The lodge sits atop the roaring 268 foot Snoqualmie Falls, and was made famous in the television series Twin Peaks. I don’t do caricatures nearly as often as I used to. 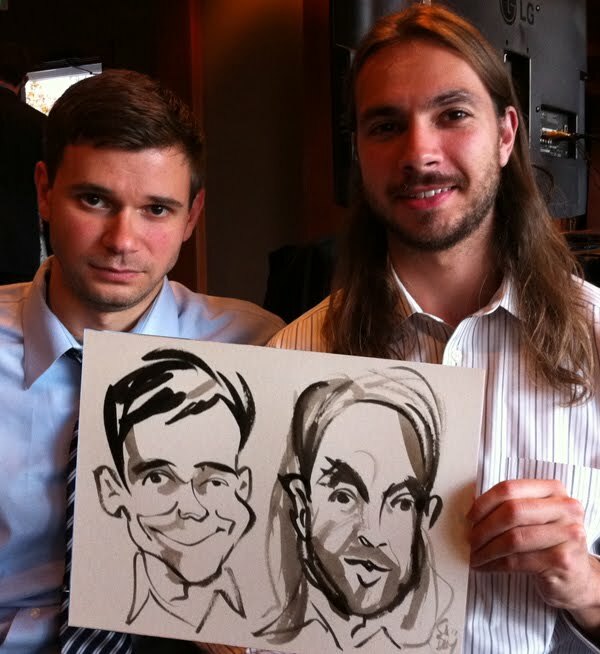 The live wedding paintings pay better, of course, because the couple is getting a work of art that can last for generations. 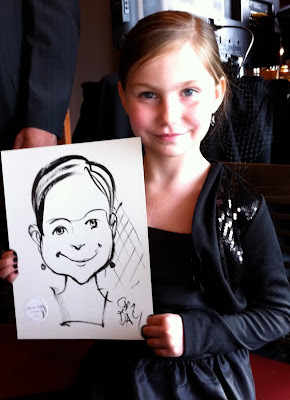 But caricatures are an affordable alternative for the client, and a valuable wedding favor for the guests to take home. And I truly love doing them. I never tire of drawing or painting faces. I love seeking out the personality of the sitter; it often manifests in a single brush stroke as they flash that smile they were hiding, or as they raise an eyebrow or smirk at the reaction of their friends to my drawing in progress. I love the family resemblances and variations I see, from grandparents to grandchildren. I love the subtle differences unique to every ethnicity (in this case German and Italian) that sits before me. These particular families were full of confident personalities, and I was able to caricature them honestly and playfully without being disrespectful or disparaging. Of course, throughout the years I’ve drawn many people who were more reserved and anxious about how I might portray them. There are always people who ask me to make them thinner, or omit a double chin, or downsize a nose. 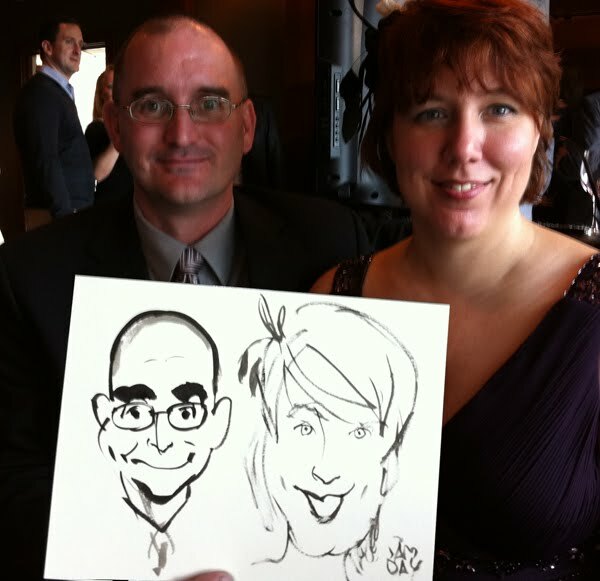 At every caricature gig, I find myself repeating, for the nervous, the mantra that I always make the women look like movie stars. I then joke that the men get what they have coming to them. But the truth is I try not to offend anyone. I subscribe to Al Hirschfeld’s philosophy that caricatures never need to be insulting, because everyone has an interesting face.